A small domestic utility tool, highly recommended for camping and trekking. HANDY n FUNCTIONAL. 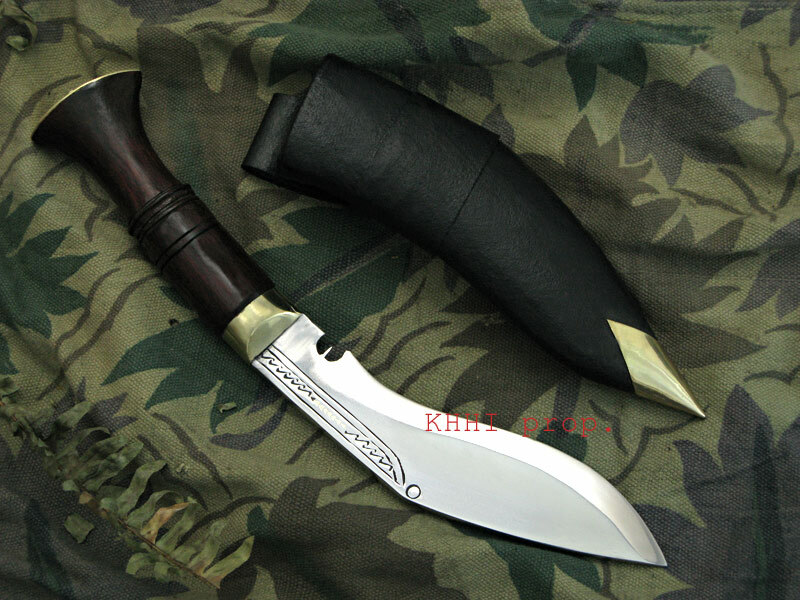 This is the smallest functional kukri manufactured by Khukuri House Handicraft Industry. The blade measures 6" and basically used for jungle activities, therefore the specific name. 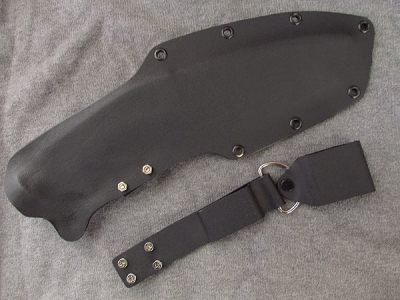 Its small handy size is the biggest asset of this kukri because carrying and using becomes very easy and swift plus one would feel more safe as far as using is concerned. Short blade and light weight of the khukuri makes it handier to swing and cut compared to its larger counterparts. Even though the blade is small it carries enough weight needed for cutting, chopping, clearing etc; a perfect piece of practical proceedings. The shape of 6” khukuri resembles the original and traditional version of the famous Nepali khukuri the “Bhojpure”. Because of its cute yet effective size it is very famous among buyers. This kukri makes very good gifts to one’s near and dear ones. Highly recommended for camping and trekking, equally good for domestic work in and around one’s premises. 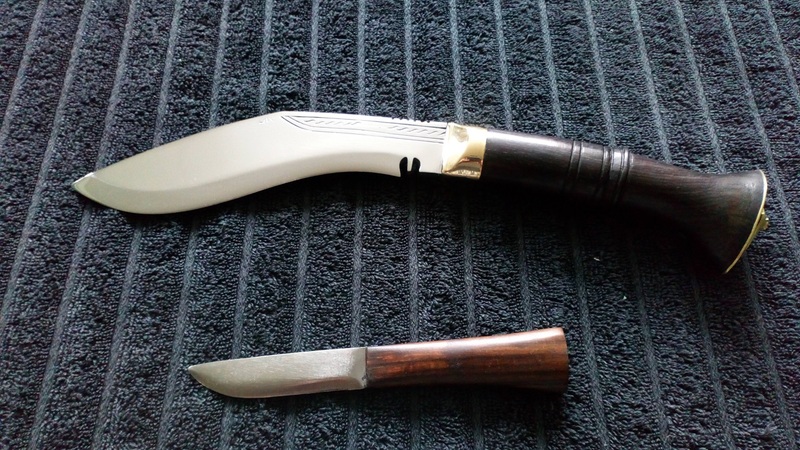 A khukuri blade that is very practical, functional and handy that is useful for cutting, chopping, clearing etc. Size of blade: 6 inch approx. Size of handle: 4 inch approx. This little baby was bought as a "novelty" kitchen knife just for a bit of fun whilst preparing a meal or two. lovely knife actually and can see how useful it would be out in the sticks!. MANGALDHAN (M) has done a wonderful job in making this small beauty.